Home > Blog > Enjoy the summer at Port Ainé! Port Ainé is a station located in the massif of the Orri, which is surrounded by the beautiful Natural Park of the High Pyrenees, with breathtaking landscapes. The highest point of this massif is the same peak of Orri, with 2.440 meters, becoming an unique viewpoint of the Pyrenees. Designed for families as well as for lovers of skiing or nature, Port Ainé presents itself as a multipurpose leisure center, capable of providing moments of fun for everyone. 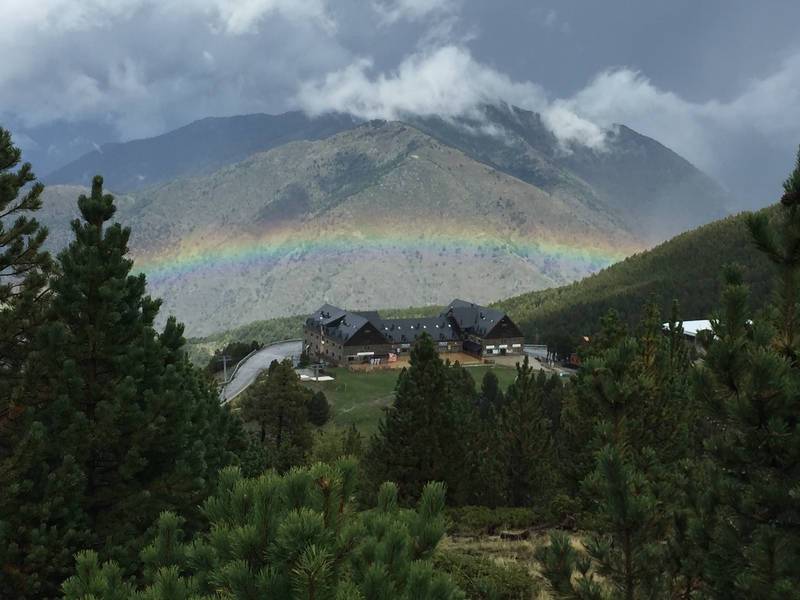 Although is not snow season, Port Ainé offers a lot of activities to do in summer, positioning itself as an ideal destination for your holidays in Pallars. In addition, in the vicinity of the station you can also visit interesting towns and enjoy the events that are organized here, such as the Maldaltura music festival, held on 14 and 15 July, the 54th Rally of the Noguera Pallaresa, celebrated between 15 th and 23 th of July or the Major Festival of Sort, that is celebrated from the 29 to the 31 of August. If you are interested we recommend you to consult the variety of activities offered. The main attraction of Port Ainé it’s the Adventure and Leisure Park, located in front of the Port Ainé Hotel. Both young and older ones can enjoy activities for all audiences! 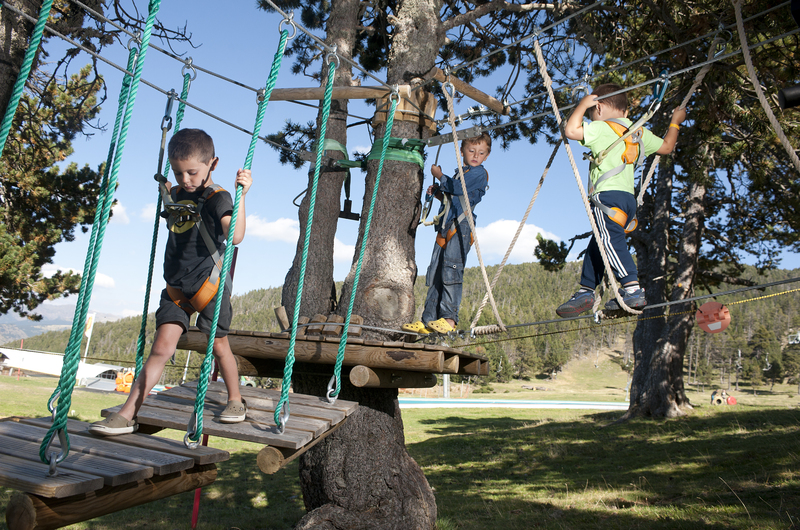 If you like adventure activities, you shouldn’t miss the adventure park among the trees, where, after having an explanation of the security material, autonomously, but under the supervision of monitors, you can climb a Tibetan bridge, a staircase of trunks and two zip lifts located seven meters of height. If you are not afraid of heights, try it! Another fun activity, and one of the favorites, is tubbing. Surely you’ve seen tracks in water parks where people throw themselves into a pneumatic donut. In Port Ainé you can do this activity on a track of 120 meters long, with a plastic surface by a descending slope. Throw yourself in the fun! Do you still want more? You can ride a kart or an all-terrain skateboard or take a refreshing swim in the pool and sports area of the Sport Center, located in the complex located in Ctra C13 between the towns of Sort and Rialp. As you see, the offer of activities in Port Ainé is so varied that one day you will not be enough to try them all. 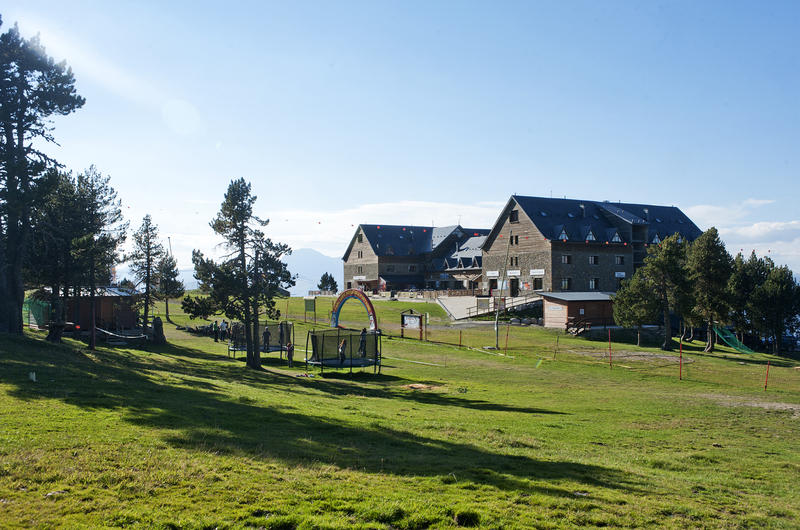 An option is to stay in the Hotel Port Ainé, located in the same station, which will offer you the opportunity to be very close to a multitude of activities, both in snowy time and summer, while relaxing enjoying the beauty of this privileged enclave, discovering it by walking the several signposted routes that start from the same hotel. In it’s restaurant you can try the delicacies of the pallaresa cuisine, with typical products of the region or have a coffee in its cafeteria. If you also want to do indoor activities, the hotel has a mini club, an entertainment service, a complete gym, a shop, and various rooms, meetings, reading and TV, or recreational games.